GOING ON ADVENTURES: Camping for Earth Day? Keep it green. 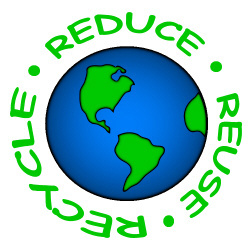 Earth Day is just around the corner—April 22--reminding us to be good to our planet and take time to reconnect with Mother Nature. Many people are dusting off their tents and getting ready to head into the great outdoors. This year during Earth Day, campers are encouraged to live green and follow the tips below to make sure their outdoor camping getaway is also eco-friendly. Plan ahead to achieve no trace camping: The principle behind no trace camping is to leave nothing behind – what some people refer to as “pack it in, pack it out.” This requires planning ahead for things like extra bags to pack garbage away to be thrown out later. Bring real dishes: Don’t fall into the trap of buying paper plates and silverware. Take time to pack real dishes or reusable dining gear that you can bring home with you after your trip. Pick a site nearby: Cut car emissions by choosing a nearby destination. 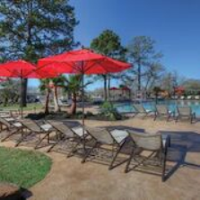 Thousand Trails and Encore have more than 180 campgrounds to choose from across the country. They are guaranteed to have one to fit your needs. Lake Conroe is ideal for boaters. Lake Conroe Camping Resort: Located just outside of Houston, this campground is a paradise for water lovers with an onsite marina. Bring your boat or rent one there for plenty of family fun. Mt. Hood Village Resort: If mountains and forests call to you then take a trip just outside Portland to Mt. Hood Village Resort. Opened in 1984, this location is perfect for large family gatherings, retreats of all kinds, or a quiet romantic weekend getaway in the mountains. 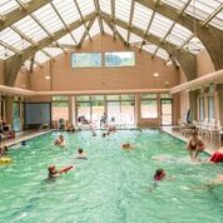 Yosemite Lakes Resort: Located adjacent to one of the nation’s most popular national parks, this resort has a little something for everyone, from a roaring stream and majestic mountains to a hauntingly beautiful forest. 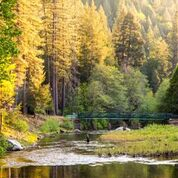 The South Fork of the Tuolumne River runs through the preserve making it ideal for swimming, fishing and panning for gold.